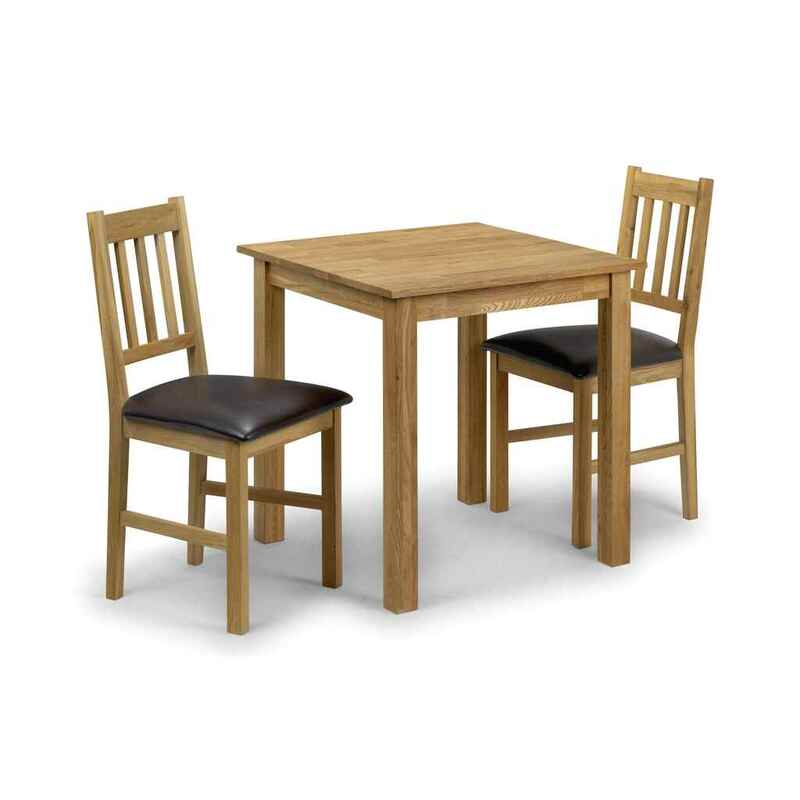 The Vintage Style Solid Oak Square Dining Table set is the complete feature for any dining room or kitchen. 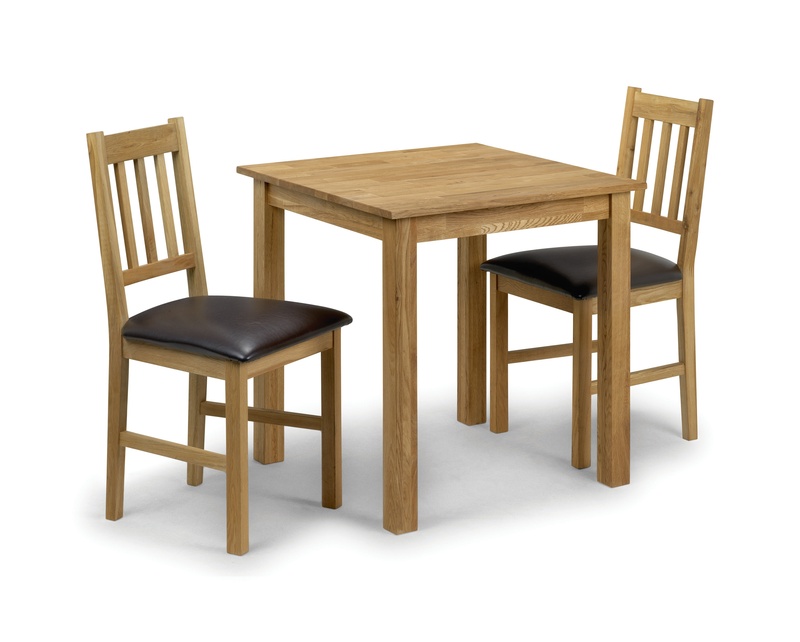 The Vintage Style Solid Oak Dining Chairs and the table are constructed from Solid American White Oak which makes them sturdy and durable and the Rich Oiled Finish provides the set with an stylish look. This product requires assembly. Chair Dimensions: 49cm x 44cm x 90cm Faux Leather Finished Oak Chairs.